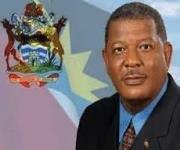 After a roller-coaster of events which included court battles and street protests, Prime Minister Baldwin Spencer announced June 12 as the day voters will go to the polls and nomination day as May 21, urging them to return his United Progressive Party (UPP) for a third consecutive term as the government of Antigua & Barbuda. There are around 48,000 people registered to vote and the 2014 poll was described as a crucial decision for voters to make. In immediate response, the man who wants to be prime minister, Antigua Labour Party (ALP) leader Gaston Browne, described the announcement as ?long overdue? crediting pressure from the opposition as the reason for last night?s announcement. C5xQXU Wonderful post however , I was wanting to know if you could write a litte more on this topic? I'd be very grateful if you could elaborate a little bit further. Bless you! bfty4i Thanks-a-mundo for the post.Really looking forward to read more. Really Cool. P8pGdz Thanks for sharing, this is a fantastic blog.Really thank you! mRVR78 I value the article post.Much thanks again. Great.